Description: Zumba with Kinga Dance Fitness Classes at Southampton Youth Services in Southampton, Suffolk County, Long Island, New York. Dance Fitness in the Hamptons Long Island New York with European-American artist/fitness dancer Kinga presenting high-energy, charismatic, calorie-burning party dance fitness classes focusing on weight loss and body toning disguised as a dance party. Learn how to move your body feminine supreme with burning charisma. 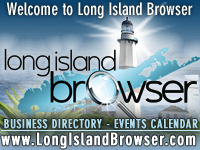 Tags: Long Island dance fitness, Hamptons dance fitness, dance fitness, class, classes, master classes, events, special events, gigs, performances, Zumba, Long Island, LI, New York, NY.